I am a big believer in the importance of Organizational Trust within an organization. It is a critical foundational piece for any organization – from small business and non-profits through to governments and large business. It even relates to the success of teams within an organization. The Impact99 team has been busy working on the creation of a model that will enable Workplace Re-Invention. In support of this model (above), we have also written a FREE e-book series, with chapters that align with each piece of the model. About a month ago, I came across an article by Halley Bock about HONESTY in the workplace and it really resonated with me and is directly aligned with our views on the building blocks of ORGANIZATIONAL TRUST. 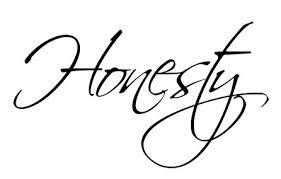 As I sat and thought about it some more, honesty really isn’t a stand alone item. It plays a critical role in being Authentically Human, showing up as an Individual Leader in everything you do and Organizational Transparency. It’s funny how one behavioural attribute can have such a significant impact on how we show up in the world and how effective we are in our relationships and our workplace. The article goes on to share some suggestions and examples, which are directly aligned with what we are recommending as part of our Blueprint for Workplace Re-Invention. One specific suggestion relates to the integration of Social and Digital philosophies into how leaders engage in conversations. By 2025, nearly 40% of the workplace will be made up of Gen Y – a generation that has grown up in a social and digital world and they expect honesty, transparency and collaboration – all of the principles outlined in our model and covered in the article. You can download the model we have created as well as 11 Workplace Reinvention modules that will explain each slice in detail, give you examples of companies doing it right and get over 80 tactical tips for moving that change forward. You can also join the conversation in person this fall at Impact99 in Vancouver BC (Oct 2) and Toronto Ontario (Oct 23). Space is limited to 99 HR & Division Leaders. The more conversation, resources and support we can give each other- the more significant and sustainable the business impact will be and the faster we will achieve Workplace Reinvention.